We are saddened by the loss of life and destruction of property wrought by the devastating tornadoes earlier this week across the Midwest and the South, including Oklahoma, North Dakota, Tennessee, and Iowa. We share the shock and grief of those who were touched by these tornadoes, and also share the desire to help. The immediate response by the American Red Cross and its partners to provide relief efforts is commendable and SSOE is contributing to assist their vital work. Please join SSOE Group and our employees in helping the survivors who have lost their homes and loved ones. 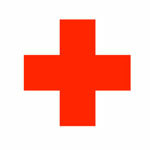 Please give today by visiting the Red Cross website. You can give now to support relief efforts for a disastrous situation that is still unfolding. Your gift to the American Red Cross will support emergency relief efforts to help those affected by these storms. Assistance provided by the American Red Cross may include sending relief supplies, mobilizing relief workers and providing financial resources. Click here to give via American Red Cross.